TOPAZ HORIZON: Check out the best new beauty blog this year! 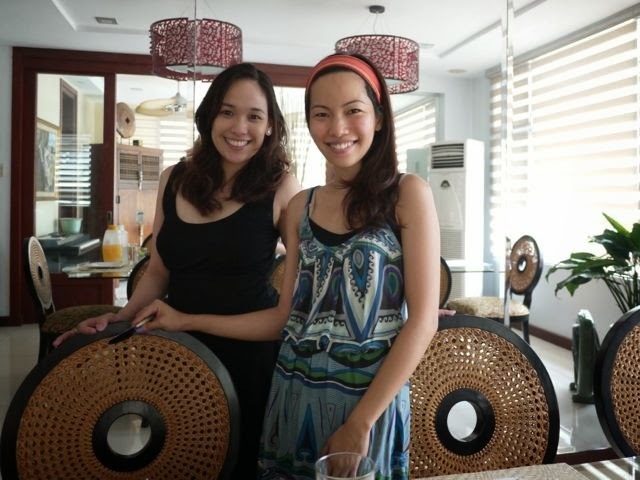 This is my super duper, absolutely-can't-live-without-her, good friend, Nicole Romero. We met when we were still working in magazines. Wow, that feels like a lifetime ago! I don't exactly remember how we became friends since she's much younger than me, but however we became friends, I'm glad we did. 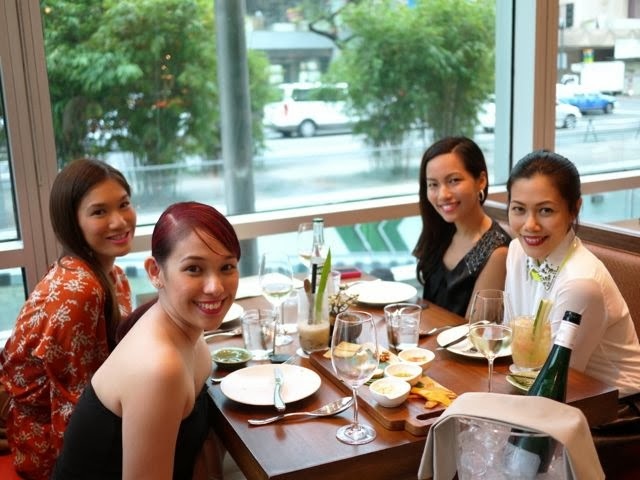 Nicole is part of the Wine Night Gang, but we haven't gone out at night for years! We go out for afternoon tea now haha! Or lunch. Nicole also happens to be amazing in the kitchen. We're about to eat the yummy lunch she made for us. She's fabulous with kids, too! My normally aloof sons are always charmed by her! Friendship aside, I'm also glad Nicole came into my professional life when I needed to spruce up the beauty pages of the magazine I used to edit. The beauty pages then were horrible and boring and template-y. I'm not in the habit of hiring my friends but I was desperate, and I knew Nicole is really talented when it comes to styling products and writing about beauty. I mean, seriously, how many ways can you describe lipstick, right? This girl will astound you on how she can make lipstick sound like the sexiest thing in the world. So I'm soooo thrilled that Nicole finally finally finally started her own beauty blog!!! Ladies, check out Beauty & Sparkle! 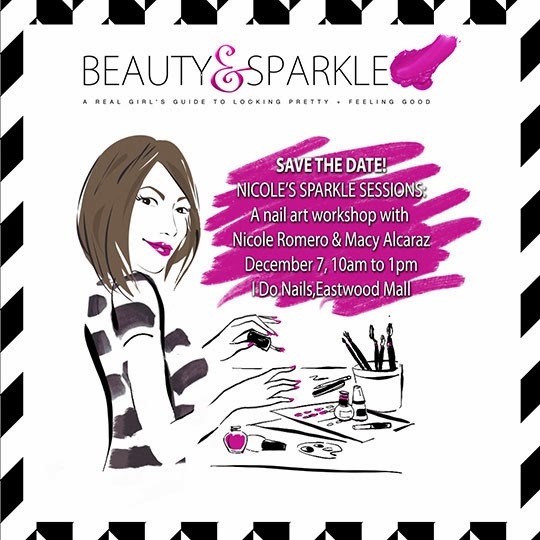 To celebrate her foray into the world of beauty blogging, Nic is holding her very first blog event this December 7. The first of her workshop classes that she calls "Sparkle Series," the Nail Art Workshop will be held at I Do Nails at Eastwood Mall. The workshop will be all about trends in the mani-and-pedi world, how to care for your nails and help polish last longer, and tips and tricks on creating your very own nail art! So exciting! Just click here to get all the details and to sign up! Hurry! Slots are super limited! But wait! She's also giving away two precious slots to a lucky girl and her friend! Click here to join the contest! And while you're at Nic's gorgeous beauty blog, do give her a warm welcome into the blogging world. I've been bugging her for years to become a beauty blogger because I just knew that someone with her expertise is needed but she was so hesitant. 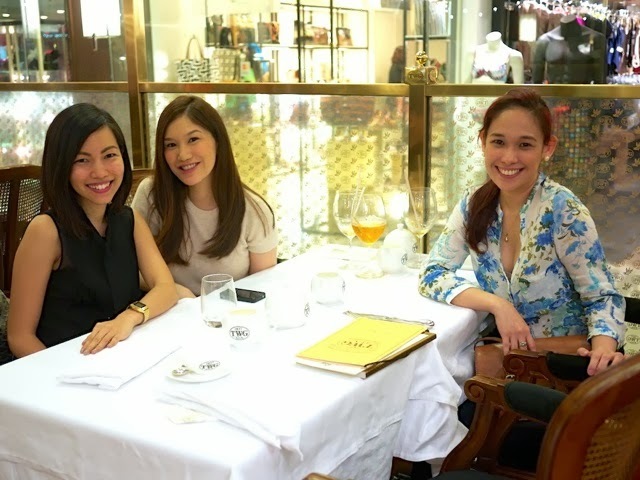 But now that she finally did launch Beauty & Sparkle, it's such an amazing blog! I love it! I'm sure you'll love it, too. *The first photo and the last two images are grabbed from Nicole's blog. followed her too via Bloglovin! looking forward for some great articles from her.